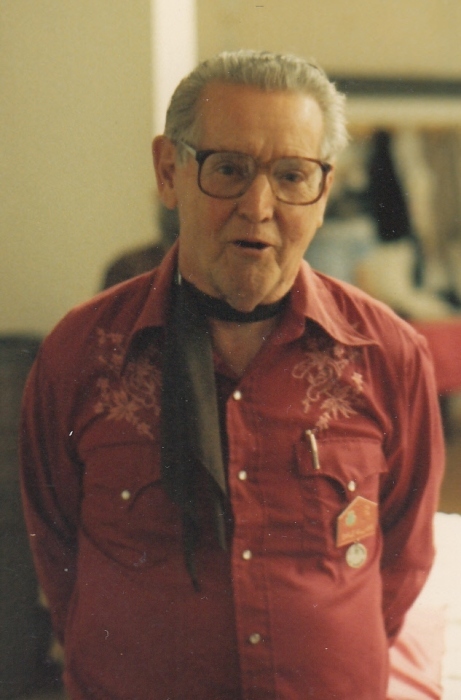 Earle David Williams, age 100, of Franklin, NC, passed away Sunday, March 17, 2019. He was born July 11, 1918 in Pittsburgh, PA to the late David Charles Williams and Bernadette Obringer Williams. In addition to his parents he was preceded in death by his wife Elizabeth "Betty" Williams, who died in 2010. Mr. Williams worked at Mesta Machine Co. during World War II. In 1949 he moved to St. Petersburg, FL and opened a service station with his dad, Dave he ran that for 35 years. Both his sons worked for him, making it a three- generation business. After retirement he moved to Franklin, NC. He was president of the Cullasaja Community Development Club for over 15 years. He volunteered at the Cullasaja Fire Department, he was a founding member of Save Our Rivers, a member of Western NC Alliance, an Appalachian Trail and Bartram Trail volunteer, a Red Cross blood donor since World War II, a founding member of High Mountain Squares, and was an avid gardner. Survivors include two daughters, Pat LaMonica (Jack) of Pisgah Forest, NC and Mary Ann Williams of Franklin, NC; two sons, David Williams (Joyce) of Whidbey Island, WA and Tom Williams (Lindy) of Orlando, FL; two grandchildren, Vince LaMonica of Pisgah Forest, NC and Lindsay Williams of Orlando, FL. No services are planned at this time. In lieu of flowers donations can be made in Earle’s memory to the Western North Carolina Alliance (wnca.org). The family would like to thank the staff and management of Grandview Manor for their loving care of our father. Thank you is not enough. Bryant-Grant Funeral Home and Crematory is serving the Williams family. Online condolences can be left at www.bryangrantfuneralhome.com.